The MagChargR is currently offered for 5.7 and 6.1 Hemi engines manufactured by Dodge. The pricing is set at $225.00 per unit. 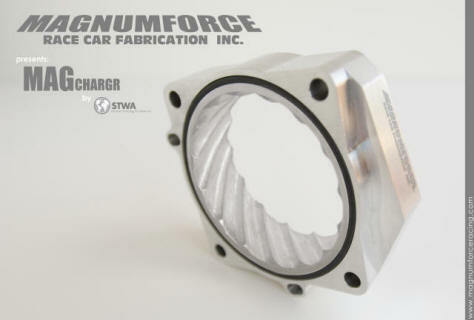 Customers with questions on the product can contact Magnumforce at: +1 (408) 559-6633, and online at: www.magnumforceracing.com. Cecil Bond Kyte, Chairman and CEO of Save The World Air, Inc., commented, "The response and the build up to this product has been nothing short of phenomenal, and now that it's finally available from Magnumforce, consumers will be able to get their questions answered, have the product drop-shipped quickly and start saving fuel and boosting performance within a half hour of receiving their MagChargR." "We are anticipating that the MagChargR will create quite a buzz and are looking forward to getting the product out to consumers," said Ron Jenkins, CEO of Magnumforce. "We will be selling and supporting the product, so consumers are encouraged to contact us with any questions they might have." About Magnumforce and Ron Jenkins. Magnumforce manufactures and markets a broad line of racing and high performance products for Dodge, Chrysler and Plymouth vehicles through multiple points of distribution. Ron Jenkins has been featured on TLC's "Wrecks to Riches" three times, on the popular TV show "Monster Garage," as well as "American Hot Rod" and "Rides" on the Discovery Channel. He has been featured in many car enthusiast publications and is also a regular feature in Mopar(TM) Collector's Guide magazine. For more information on Ron Jenkins and Magnumforce visit their website (www.magnumforce.com). 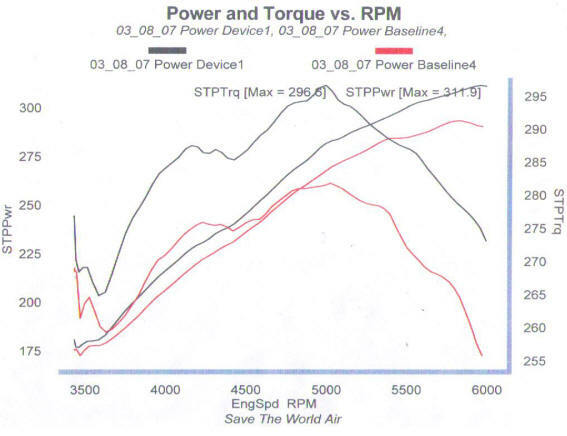 About Save The World Air, Inc. Save The World Air, Inc. develops and licenses patented and patent pending flux field pollution control and performance improvement technologies, including the ELEKTRA, ZEFS and MKIV, which have been scientifically tested and proven to significantly reduce harmful exhaust emissions, improve performance and enhance fuel economy. The products have been engineered to serve as either stand alone pollution control systems or can be used (in conjunction with catalytic converters) to create a more effective total pollution control system that not only reduces harmful emissions, but also decreases greenhouse gases, improves fuel efficiency and boosts performance. More information including a company Fact Sheet and media articles are available at: http://www.irthcommunications.com/clients_ZERO.php, and at: http://www.magchargr.com. Follow STWA on Twitter: http://www.twitter.com/stwainc Follow STWA on Facebook: http://www.facebook.com/group.php?gid=50849493541 Safe Harbor Statement This press release contains information that constitutes forward-looking statements made pursuant to the safe harbor provisions of the Private Securities Litigation Reform Act of 1995. Any such forward-looking statements involve risks and uncertainties that could cause actual results to differ materially from any future results described within the forward-looking statements. Risk factors that could contribute to such differences include those matters more fully disclosed in the Company's reports filed with the Securities and Exchange Commission. The forward-looking information provided herein represents the Company's estimates as of the date of the press release, and subsequent events and developments may cause the Company's estimates to change. The Company specifically disclaims any obligation to update the forward-looking information in the future. Therefore, this forward-looking information should not be relied upon as representing the Company's estimates of its future financial performance as of any date subsequent to the date of this press release.